Not sure what was so complicated (re a previous review on this product)?? Attach it to position and be done. Easy. But do agree with the very sturdy part. 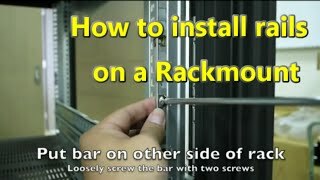 Very basic rails, a little bit complicated to install but very strong !